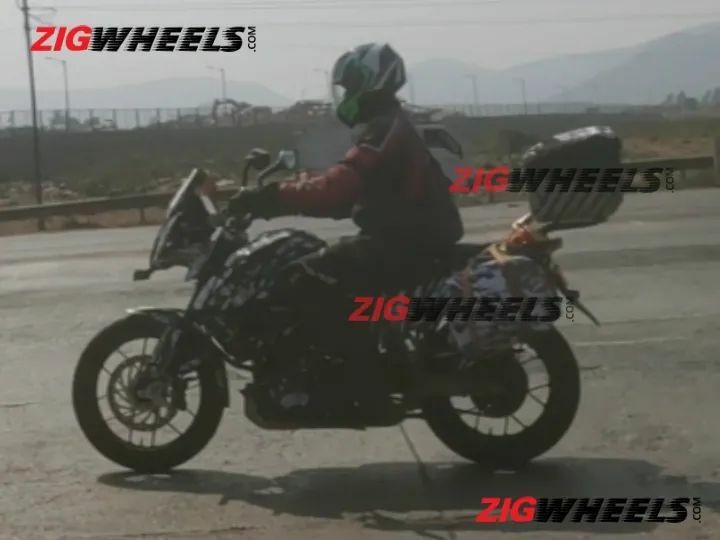 It appears that KTM India would offer a selection of accessories for the upcoming 390 Adventure as the latest spy images reveal juicy details. 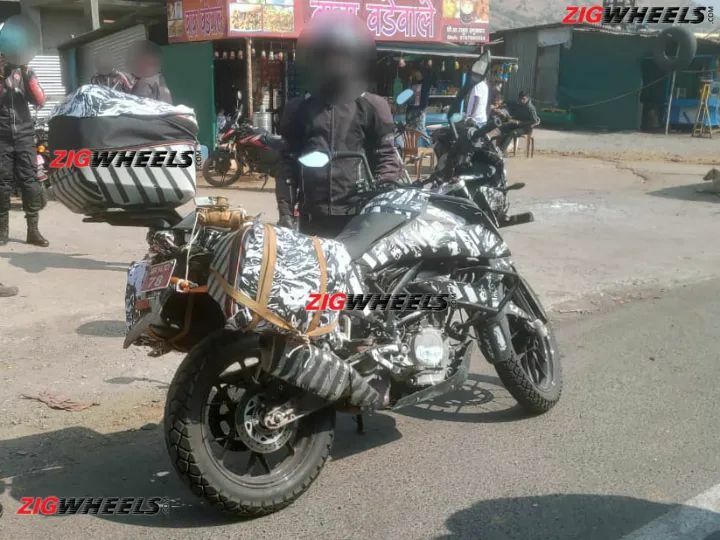 A heavily camouflaged test mule of the KTM 390 Adventure was spotted with panniers and a top box. The luggage accessories, similar to the motorcycle, were wrapped in camouflage stickers. The test mule was seen with panniers and a top box. The optional luggage solutions would enhance the touring capabilities of the 390 Adventure. Apart from the luggage carriers, the test mule is identical to the unit that was spotted recently. The motorcycle was seen with alloy wheels while the wire-spoke version is yet to reveal itself on Indian shores. Note that test mules of the 390 Adventure were spotted with wire-spoke wheels in Europe. We expect to see the 390 Adventure to arrive in two options. One will be focused on touring purposes while the other will be a more rugged option that will be designed to take the beaten path. Similar to its bigger adventure tourer range, KTM could name the two variants the 390 Adventure and the 390 Adventure R. The R badge model could come equipped with wire-spoke wheels and a metal bash-plate while the standard variant would use alloy wheels and a fibre engine cowl. The 390 Adventure will be built around a trellis frame with a bolted sub-frame, receiving full LED headlight with a split style design along with LED blinkers and a LED tail light. A compact windscreen would offer some solace against windblasts as standard while a taller wind deflector should arrive as an option. The cockpit would include a full-digital display that would be identical to the unit on the 390 Duke. However, the adventure tourer could benefit from a turn-by-turn navigation system. The test mule spotted in India features 19-inch front and a 17-inch rear wheel, both wrapped in dual-purpose, knobby tyres. Apart from the luggage solutions, KTM could offer a larger windscreen and other accessories to enhance the touring comfort on the 390 Adventure. Expect to see the ADV with the 373.2cc, single-cylinder, DOHC, 4-Valve, liquid-cooled engine that delivers 43.5 hp of power at 9,500 RPM and 35 Nm of peak torque at 7,250 rpm on the Duke. However, the gear ratio might get a revision for better low-end grunt.